As you can see from our bestseller lists, Drawn & Quarterly customers actively seek out, support and love writers from diverse backgrounds. 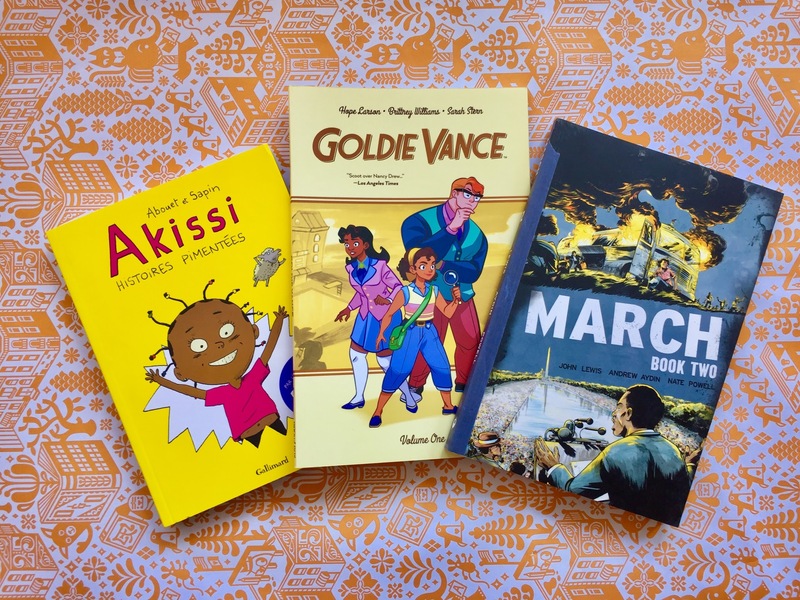 It's a great source of pride to us to be able to recognize the needs and interests and voices of different communities, LGBTQ groups, disabled people, and other experiences, so that children recognize themselves in books and understand their voices are essential and important. Since February is Black History Month we have rounded up a table of our favourite black authors and put it in the centre of the store. There are wonderful titles that explore the breadth of the black experience and its contributions throughout history and modern times, and in your own happy household, and prove that black history is vital every day of the year. 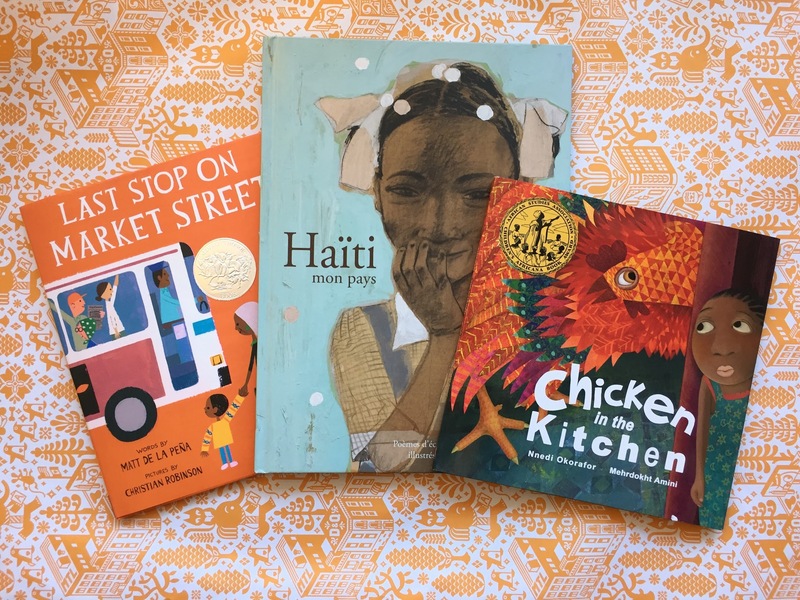 Here are some of our must reads from our children bookstore, La Petite Librairie, and come in the store to discover even more riches! Every Sunday after church, CJ and his grandma ride the bus across town. But today, CJ wonders why they don't own a car like his friend Colby. Why doesn’t he have an iPod like the boys on the bus? How come they always have to get off in the dirty part of town? Each question is met with an encouraging answer from grandma, who helps him see the beauty—and fun—in their routine and the world around them. Les poèmes des écoliers de Camp-Perrin en Haïti et la série de "portraits" que réalise l'illustrateur Rogé en vu d'une exposition à Montréal. L'auteur haïtien Dany Laferrière a signé la préface de l'album. When Anyaugo follows a giant chicken into her kitchen one warm night in Nigeria, she embarks on a fun-filled adventure where nothing is quite as it seems. Is the mischievous giant chicken a friend or a foe? More importantly, will Anyaugo be able to save the food for the New Yam Festival the next day? We are clearly big fans of Okorafor. This is a sequel to Akata Witch which was released in 2011. Both can be found in our store. Twelve-year-old Sunny lives in Nigeria, but she was born American. Her features are African, but she's albino. She's a terrific athlete, but can't go out into the sun to play soccer. There seems to be no place where she fits in. And then she discovers something amazing—she is a "free agent" with latent magical power. Soon she's part of a quartet of magic students, studying the visible and invisible, learning to change reality. But will it be enough to help them when they are asked to catch a career criminal who knows magic too? This book was also on our best seller list for 2017. 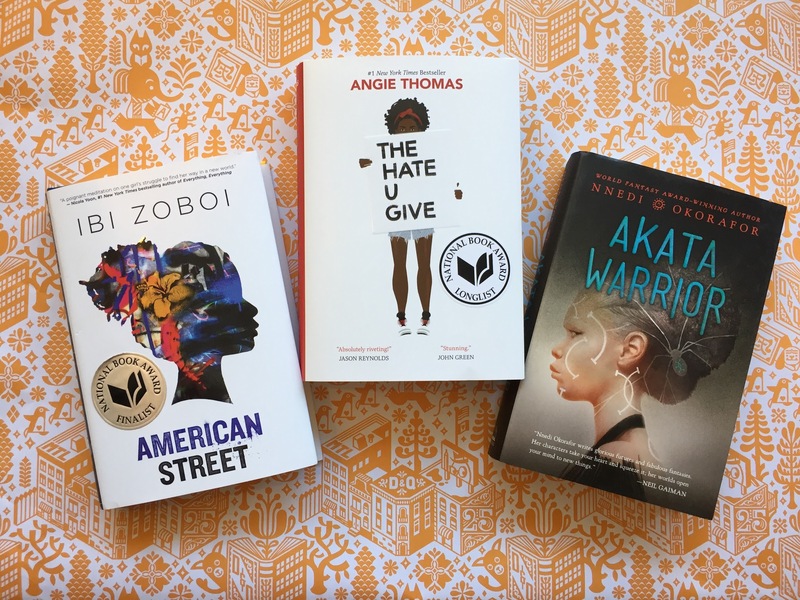 After they leave Port-au-Prince, Haiti, Fabiola’s mother is detained by U.S. immigration, leaving Fabiola to navigate her loud American cousins, Chantal, Donna, and Princess; the grittiness of Detroit’s west side; a new school; and a surprising romance, all on her own. We are all huge fans of Aya by Marguerite Abouet. Akissi is Aya's younger sister and is written for a younger audience. Akissi is a true adventurer, full of silliness and fun, and nothing will scare her for long! Illustarted by the wonderful Brittney Williams, Goldie Vance is a huge success. Goldie has an insatiable curiosity, which explains her dream to one day become the hotel’s in-house detective. When Charles, the current detective, encounters a case he can’t crack, he agrees to mentor Goldie in exchange for her help solving the mystery. March is a vivid first-hand account of John Lewis' lifelong struggle for civil and human rights, meditating in the modern age on the distance traveled since the days of Jim Crow and segregation. Rooted in Lewis' personal story, it also reflects on the highs and lows of the broader civil rights movement. 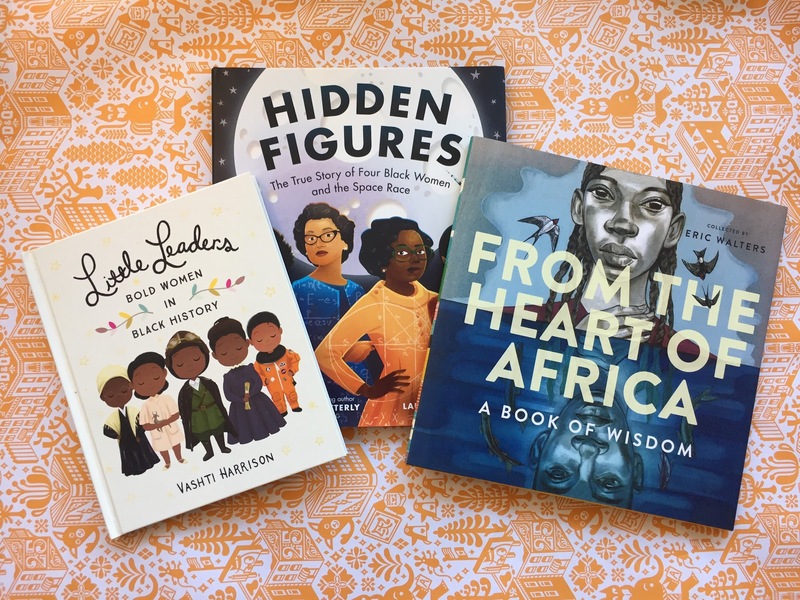 Among these biographies, readers will find heroes, role models, and everyday women who did extraordinary things - bold women whose actions and beliefs contributed to making the world better for generations of girls and women to come. We all saw the movie! In this beautifully illustrated picture book edition, they explore the story of four female African American mathematicians at NASA, known as "colored computers," and how they overcame gender and racial barriers to succeed in a highly challenging STEM-based career. A simply stunning book. It is a collection of African wisdom gorgeously illustrated by artists from Ghana, South Africa, Zimbabwe, Canada, the United States and more.